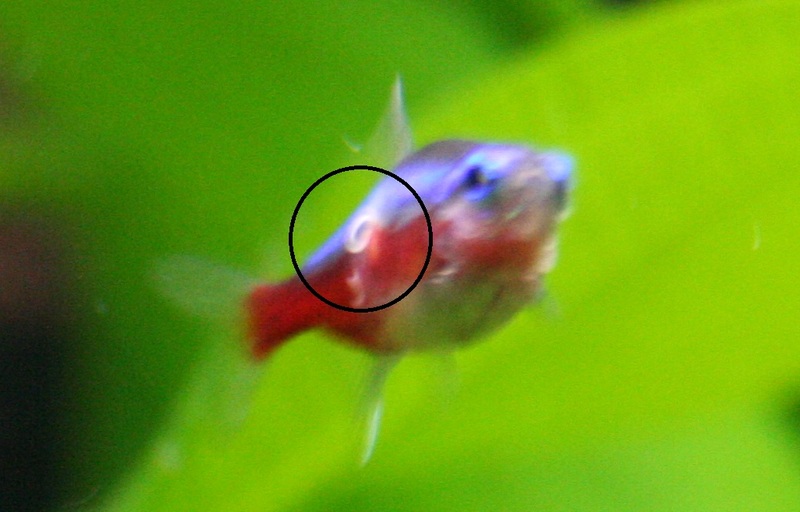 Symptoms: I am having the same issue as usual and today to top it off I noticed a white worm on the side of body of a Cardinal Tetra and wonder if it is the same thing? Basically one of my Discus has stopped eating and is wasting away, pretty sure he's too far gone I will probably have to euthanase him, I also have another that I have been monitoring that appears to be skinny in the forehead but that still seems quite lively, he's been on/off again struggling to grow, eat and his colouring changes regularly. To be honest this has been my one issue with my tank, a Discus stops eating and dies. It happens about once every 6 months. I have tried to treat with Para-gon but doesn't seem to work, it certainly has worked at killing BNs and some L144s I had so after that to stop using it. 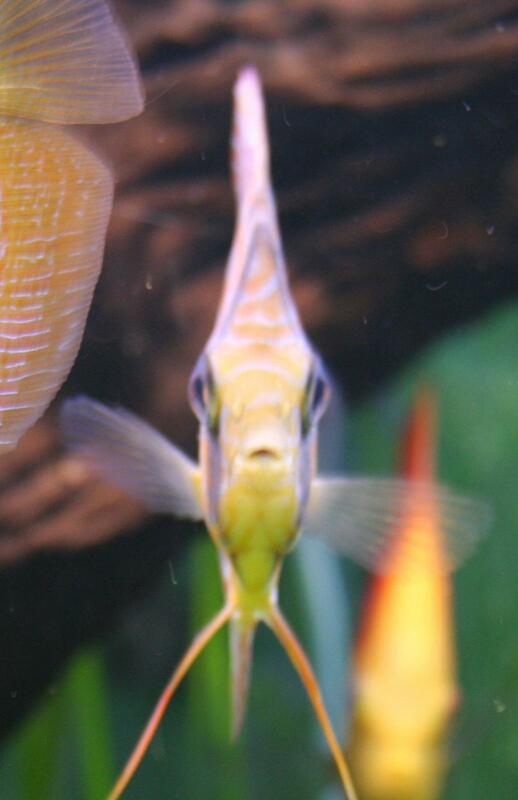 What I would like to know is what I have, a definitive answer, so I can clear it, make sure all the fish are healthy and then I can get more Discus. Photos to come (when they stop hiding). Any recent changes..new fish/filters/power outages etc etc:3 Neons and a BN all looking a little neglected from my brothers MTW (shrimp) tank that he decommissioned. Probably got the worms from here? 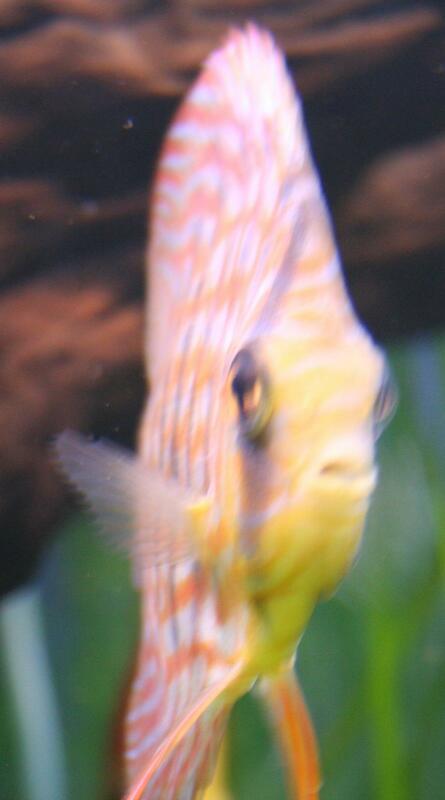 Found a photo of the Discus I took late October (2013), this is the early symptoms and he will have to the euthanased now, they other sick Discus is just starting to look like this now. Edited by MrLeifBeaver, 21 January 2014 - 11:03 PM. Thanks for the PMs Buccal and Livingfish. The White "worm" is just Dermosporidia or Dermocystidium.... cant remember the correct name right now..... leave it and it will go away in a few weeks - if you google it, you will find more posts that I have put up regarding it. for the discus, you will need to treat it with something to eradicate flagellates - earlier the better. have you got any KUSURI WORMER PLUS 20 GRAMS. That was one recommendation. We have an all wormer and an anti flaggelate - Id recommend both. def do the kusuri wormer plus treatment. just a couple of recommendations. get some extra filtration in your tank. a sponge filter would be ideal. also if you could do at least 20% wc every second day rather than do a large change once a week. and finally i would suggest cleaning your canister once a month (i've had criticism for this suggestion in the past ) but i've been doing this for nearly 4 years with my discus and never had a single loss. try these suggestions and you will see the difference. good luck. Yup. I will pop on by today, then I will make a stop at Docfish too for some other stuff. I assume Docfish is from Aquatics? Is your tank fully established? only reason I ask is why do you have ammonia and nitrite readings but no nitrate? Yes, my tank is about 4 years old now. However my readings were low because I had just done a WC before the readings... and also I forgot to put the Nitrate reading in. 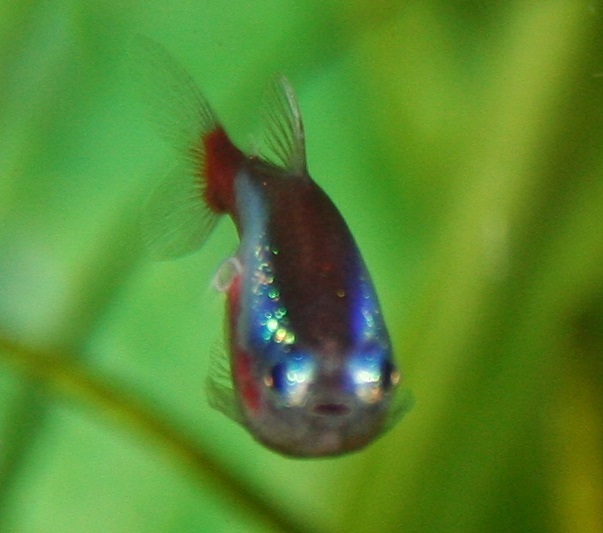 I had both Buccal and Livingfish PM me about the the Kusuri De-Wormer, so I got the meds on friday and proceeded to do a 4 day treatment. Basically on friday, I added the Kusuri Dewormer to the tank, then for 4 days, I have fed them the special Beefheart-med mixture. 1) The Penang Rupture colour appears to have come back, but I will watch him tonight to see how hes eating (his normal food). 2) The Discus (in the photo), he's still alive, I am monitoring him closely as I haven't euthanased just yet. I have deciced that if he starts to 'list' I will do that. 3) The worm on the Neon appears to have gone as MrDocfish said it would - I still need to pop on into MrDocfish and check his med range for a couple other things too. So, so far so good. Will keep you updated. Yeah I can understand a tiny ammo reading if tap water has it present but I wouldnt expect to get a positive on nitrites. Hmmm I think I need better testing kits, you can't tell the colour dif between 0.00ppm and 0.25ppm on the ammonia.